First thing's first - despite the fact that this is a Mix cd, for all intents and purposes this is a brand new album from Villalobos, featuring as it does nothing but the man's own work and collaborations, with pretty much every track here having never been heard or officially released until now. Yes, Ricardo has certainly given Fabric value for money - with 75 minutes of the most advanced and sought after Minimal techno the label are ever likely to get their mitts on. 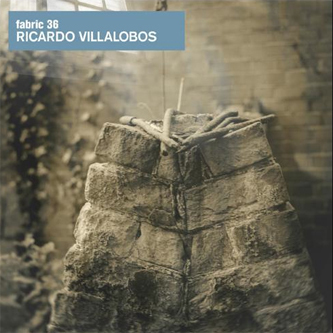 It's all about process, form and construction for Villalobos, and the set opens like a Minimal masterclass with the barest ingredients on the vaguely titled "Groove 1880", building on whirrs and high frequency oscillations before that distinct kickdrum effortlessly makes its way to exert tempo and pace over proceedings. There are some truly astonishing moments here, the jarring layering of Jorge Gonzales' vocals on "4 Wheel Drive", the discordant tribal drums and dismembered narrative of the 12 minute "Andruic & Japan" and the flanged out folk jamboree of "Primer Encuentero Latino-Americano", the album's penultimate track. Villalobos is a master of narrative, his sets always possessing a long-view that's so often missing from the frenetic pace most established deejays employ. This set not only offers a rare glimpse into his peerless mixing dexterity but delivers a treasure trove of new and archive material from one of the most guarded musicians on the scene. If ever proof were needed of Villalobos' importance as a producer and DJ - this album is surely it.